One of the most common question from those prospective indoor playground owners is: How can I make money? Sure, making money always comes the first in our mind. Also, the question like this include: What is the revenue stream? How can they compare to others? Or Is there any omnipotent way to earn the most money? Actually, there is no standardized answer, because it depends on your staple business goal. For example, if the parties make up of your main business, then, the majority of your indoor playground business revenue will come from those birthday parties. The high-margin and high-end party packages often add more to the revenue. In such a business model, you can build a very profitable revenue stream for your indoor playground business. By creating the best party packages, you will have a months-long waiting and booked-out list only if you put in your energy and time. To make your indoor playground more profitable, you should avoid the “dead time” at your facility. That means it is bad for you to spend most of your time on paying insurance, utilities, and rent. However, you just have a single way to operate your indoor playground or play café. As long as you have chosen one main focus for your business, you just have to insist on your way with some guidelines. Then, your business will thrive all the way. While running your own park, you should try to make all other revenue streams happen. Also, to be the “go-to” source in your local area will help you reap more spotlight source. Next, we will offer your 7 profitable ways for you. Operating a playground with a very big facility may enable you to accommodate many children or families at a time. As a result of this, you may have to remain your focus on expanding the capacity of your indoor playground every day. Fortunately, there are three ways to help reduce your load. First, you can try to turn your park to a destination of a sought-after field trip. This will bring you many new customers over time. Second, you can reach out to Moms Groups, and you can give a discount or special pricing for them. This solution will also help you become more favorable because moms are always together with their little child. Finally, you can melt into the homeschool community. When those people come to your park, you will have the chance to create an educational and unique experience for them. And they will hopefully come back and usually back with some of their relatives. Actually, most of the homeschool groups have enough budget to work with. Also, they will allocate part of the budget to enrichment opportunities and field trips. This open-play business model sounds like a quite correct option, It truly is with some restrictions. Once you have planned to introduce the open-play model with a very big capacity for your park, the first thing you have to make sure is that your park is located between large cities. And if not, your park may face the danger of closing soon or after. The open-play are often considered as the most seasonal among other business models. Also, as an owner of an indoor playground operating on this basis, you may have difficult to achieve regular revenue for your business. Though you can make big numbers during certain months, you will also have to face those fairly tough months. During those months, you tend to have trouble in getting folks in the gate. Under this situation, you must have to find other sources of revenue to sustain your operation. Fortunately, there are always solutions for problems, so does this problem. One method is to employ the membership model for your indoor play. With this model on wheels, you just need to concentrate on providing service for those members in those low-income months. In New York, there is some heavily populated play area are utilizing this membership model. After getting the membership qualification, members can use the unique area opening just for them. Usually, you may ask your members to sign a contract to prevent them from abrupt abolishment. And it will also be better for them to pay a catena monthly fee. As long as you have the marketing efforts and enough population, you can always maintain an interrupted customer flow for your indoor playground. In order to accomplish this goal, you have to find some solutions to eliminate seasonality maximumly. Through word-of-mouth marketing and social media, your business of birthday parties will become the go-to destination in your community. Exaggeratedly, people will dive up to 60 miles to have a party in your park. After introducing the birthday party, you have to focus on providing your customers with a unique and unforgettable birthday party. For instance, the unique and flexible birthday packages will help meet all kinds of requests from your customers. Keep constant communication directly with your customers, then you will clearly know what they are really hoping for. Also, customizing each package for every customer will help you leave your competitor extra mile behind. Based on the needs of families having young kids, you should design all of your party facilities around their needs. Supposed that your birthday party can accommodate about 10 children and 50 adults, you will get a large number of families in the door. Even more, if there are any espresso bar or comfortable lounge in your indoor playground, the adults will be able to take a break from the party and enjoy some light drinks. While both the youth and the adults have had a blast time in the indoor playground, then, you can easily maintain an interrupted flow of new customers and former customers. Except for these ways, you can also increase the revenue of the birthday party by offering a mobile party service. In the mobile party, you just need to decorate or amuse at outside facilities. Also, those small facilities can have many events happening at the same time. Still, these multifunctional facilities will help double your revenue during every single slot. Many indoor play places have the retail toy shop, from which customers can buy toys online and offline. One typical instance is The Happy Lark. In general speaking, a retail shop functions as an attraction and convenience to attract those customers to their shop. Once owners successfully get families in the door, not only will the play equipment attract customers’ attention, but also will the boutique toys, as well as the excellent customer service. So, providing superior toys and satisfying customer service will be the same important as proving high-quality equipment. with both of these things done, you can establish your customer as the go-to source for toy shopping and gifting. As a typical case, the easy-to-use online sales platform and Her Sleek website will help them achieve this. Also, people who have used the platform or the website can easily tell that is a focus. Even the customers are not a native, they can still browse and purchase online where there is a curated and unique selection of apparel and toy. Lemon Tree located in Los Angeles is a typical place, where customers can have some food in the restaurant. People can have a nice meal there after having fun with indoor playground equipment. So, an indoor playground combined with food and drink can also achieve their success. It is not hard at all for you to figure out the reason. As we always know, humans need food to refill their power, as well as drinks to make a relief for their thirsty. Those needs can be even stronger after a wild play. Then, if the business owners have already got the food and the drink ready, just think what those hungry people will do! So, you can see, such an indoor playground providing food and drink will have a continuous source of revenue. Parents may have some emergency works to deal with or just want to have a little break, while their kids are enjoying the soft play equipment. Considering this, some indoor playground will offer the drop-in care service for those parents who have kids. Wiggle and Work run on this business model, and they provide daycare for the parents having kids. In this playground, parents will feel like they have entered a co-working space with the child built-in. As the owners of the park, you can offer this drop-in care service both for memberships or occasional care. Although the parks provide the drop-in care service, parents can stay on-site either. In some indoor playgrounds, parents can just sit nearby the play area to have constant supervision over their kids. In this way, parents will release themselves from supervising their child at every second. And they will be able to have their own time to relax or deal with the emergencies. In recent years, more and more companies gradually allow their staff to do their work at their home. As a result of this, those parents who have a flexible job will need more flexible childcare service. So, owners of the indoor playground are suggested to focus on meeting these accelerated demands. If a playground can accomplish this, then, they will earn themselves more and more reliable customers. In the future, there will be more and more indoor playgrounds providing such a drop-in care service for their customers. Since kids consist of the majority of the customers, some indoor playgrounds try to incorporate the accredited preschool into the play equipment. Also, some are trying to establish the educational classes into their primary focuses. To support this kind of business, some federals and states in America even fund them. In fact, many of these facilities will choose one style of learning as points. The Montessori method is a common style that customers can see in most of the playground. Though this kind of program has a high demand, parents are happy to pay for them. In order to adhere to the expectations of those parents, these businesses will follow the curriculum guidelines to provide the child with an educational and joyful course. Sometimes, even those facilities, which have got no permission will face numbers of competition. At that moment, those facilities have to continuously rotate and update their curriculum or classes. With those attracting courses, they will be able to stay relevant, as well as become the go-to source for educational uses. Taking The Little Gym for an instance, they have combined the open-play model with this. Members of this indoor playground will have to pay monthly to take the gross-motor classes. That keeps going on no matter how many classes they actually take. If you have already decided to apply this model in your park, then, you may have to keep on recruiting new staffs. Also, you will have to provide those new staff with continuous training. Once your staff gets enough training, they can help themselves to stay at the frontier of the niche. If your indoor playground run with community-based projects or child-based activities, then, you can get grants from the foundations, nonprofits, and corporations aiming at specific kinds of projects. Those institutions will give you a few hundred or even several thousand dollars to help you run your public welfare business. For example, a playground at YMCA, church, or daycare center, will meet the requirements. For more information, you can look into the Handy Guide to Grants, where you can find lots of helpful suggestions on applying for additional grants. KABOOM, a national non-profit institution trying to offer active and balanced play for all kids in their daily lives. Through this organization, business owners will be able to find corporate sponsors who can help you with your business. Also, for many kinds of business, the owners can find the corresponding corporate sponsors for them. Those corporate sponsors will fund those child-supporting nonprofit organizations like worship and YMCA. Despite this rule, a for-profit daycare can also get their grants from the sponsors. Once you have the primary qualification for the grants, the next thing you have to do is applying. when you are going to fill out the application, just suppose you are a donor. Thinking from the sponsor’s perspective, you will get to know that they don’t just hope you build a playground. Still, they want some benefits for their organizations and themselves too. To be more detailed, you should do some research on the donors and foundations, then, you will find out the real business model they hope for. While filling out the grant applications, it is necessary to carefully express how close your business mission is to their ideal mission. For example, if the sponsors are aimed to improve fitness in communities, you had better show them that your future playground is slated to provide physical activities. Especially when the neighborhood has a few fitness facilities, you should highlight how suitable you are with some specific numbers or statistics. Showing the donors what you will do to meet their goals will also help you get the grants. As you can see, so many different models for you to choose from. Each of these models has its unique pros. 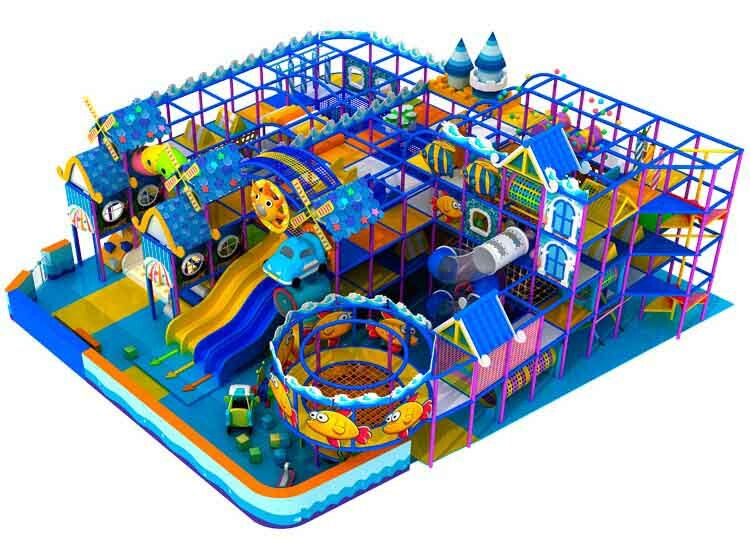 However, some prospective owners believe that they can manage all of these modes in one indoor playground. In fact, this is totally wrong, because the facilities will break down soon suffering from such a heavy operation. What’s more, operators will take at least 60-hours every week to maintain all of these facilities. To be honest, you just need to choose one main focus for your planned indoor playground. And try to implement rules above fully, then you will become top-of-mind among your competitors. When you have a lucid focus and the corresponding messages, you will help attract people who really need your services. In this way, you will truly manage to bring more and more customers to your play space. Also, your business will strive to the top in your area. This entry was posted in management and tagged indoor playground business.